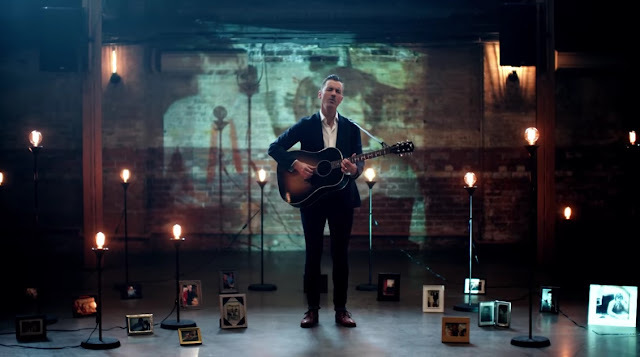 Canadian singer-songwriter Royal Wood has just unveiled the official music video for his beautiful song Photograph, taken from his latest EP Love Will Linger, out now. This is quite a stunning, nostalgic song about loss and love. I am really enjoying the tone of his voice and how much emotion he conveys through his singing! The soft melodies, packed with delicate acoustic guitar plucking, highlight the nostalgic message of the song and makes the listener really connect with what Royal is singing. The music video features a lot of photographs of his father who passed away with Alzheimer's. Watch it below! I wrote this song with the talented Jessica Mitchell about losing my father to Alzheimer's and the significance the photographs of him have meant to my family. Death comes to us all and the lives lost should be remembered. I’m grateful that I still have the days gone past with my father alive and well in his photographs. I hope this song and video help bring memories of loved ones back to life for others as well.